The Combat engineers of Fire & Fury Corps of India built a 260-foot-long 'Maitri bridge' over the river Indus, using innovative engineering methods in a record time of 40 days. It's the longest suspension bridge over Indus in Choglamsar village situated in Leh-Ladakh district ofJ&K. 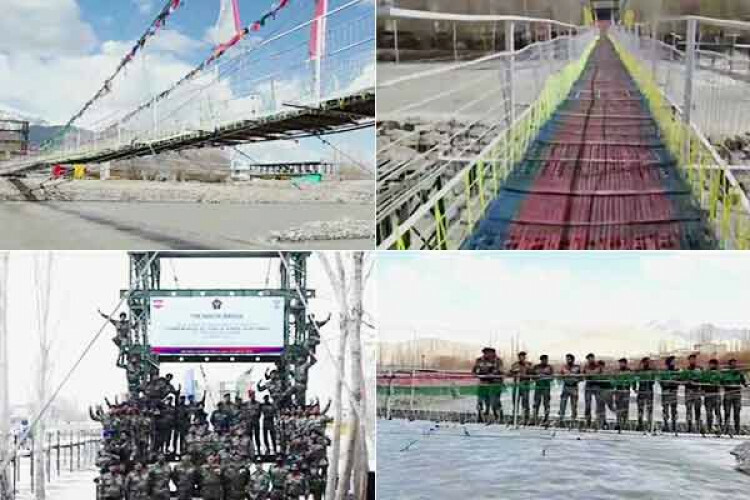 The bridge was inaugurated by senior Ladakhi war veterans & dedicated it to the locals on the 20th anniversary of Kargil Vijay Diwas.